This year at Happy Mom Conference we have some amazing speakers and panelists lined up, so I wanted to take a minute to share more about them with you! Our new host who we’re so excited about this year is Carissa Culiner of E! News and E! Daily Pop. We love her down to earth, bubbly personality! She has such a rapport with the way she speaks to people, especially moms through her Mom2Mom Youtube series and as a fellow mom of a sweet little boy. She’s just so real and raw and authentic, and we’re so happy to have her hosting the entire day as well as hosting a conversation with our keynote speaker! We’re so excited to have Ali Landry with us this year! Ali wears so many hats, from actress to host to child safety advocate to founder of her own wellness brand, Re/Shape. Re/Shape focuses on finding the best resources to support women’s health issues. Given her experience in women’s health and wellness, Ali will be focusing her keynote on postpartum wellness at Happy Mom Conference. We can’t wait for her to share her expertise with us! 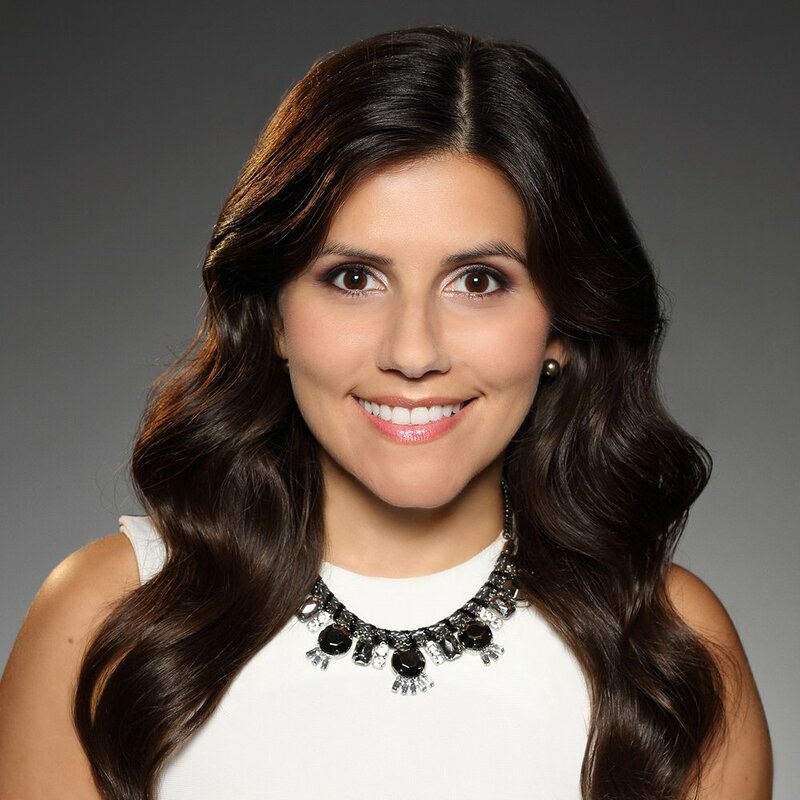 Nationally syndicated radio and TV host for Radio Disney Candice Valdez will be the panel moderator, which we’re super excited about because she’s a new mom herself to little baby Enzo, and her experience in hosting and interviewing is going to be amazing here! You can give her a listen on Sirius XM 79 and iheartRadio. Yoga instructor, martial artist, mother, and creator of Primal Yoga® Liz Arch will be bringing her fitness and wellness expertise to the table. We’re excited to learn more from her about pre and post-partum wellness, especially when it comes to fitness! Dr. Deepika Chopra is known as the OPTIMISM DOCTOR™️ & Visual Imagery Expert. Her specialty is “evidence based manifestation,” helping people live a life more congruent to what they really want, from both a holistic and scientifically research based perspective. Marcy Crouch is the owner of Restorative Pelvic Physical Therapy, Inc. in Redondo Beach, CA. 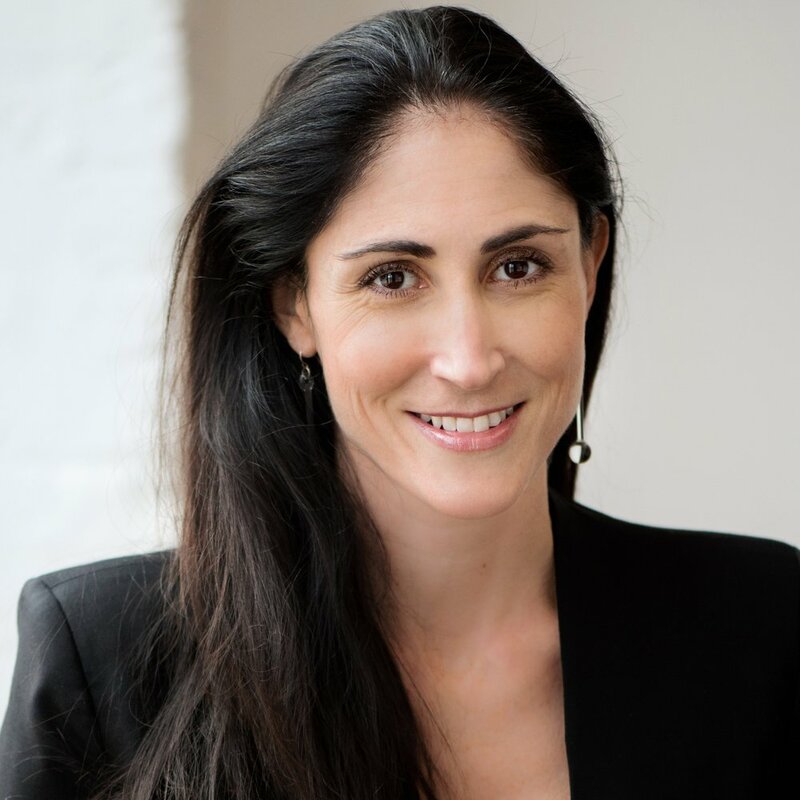 She specifically has a passion for providing care to women during and after pregnancy by using an evidence-based, holistic, and multi-disciplinary team approach to preparing for birth and navigating postpartum recovery in the most optimal way. As a truly self-made success who has a passion for educating and mentoring new startup founders, Robyn Young is the perfect moderator for this panel! Robyn launched her namesake company in 2016 from a shared coworking desk with no capital or clients in place, and within two years had quadrupled her business and team of freelance creatives. Before that, she spent the better part of a decade welding unruly brands into shape. Robyn is a master at the creative process and offers mentorship, inspiration, and the occasional pep talk to fellow entrepreneurs. Samantha Razook founded Curious Jane Camp to give her daughter and other young girls a place to be creative in a fun, high-energy environment. Curious Jane classes revolve around science, design, and engineering to empower girls through hands-on, project-based work! Samantha will be sharing with us how she launched a profitable business with little to no resources as well as why it’s important to her to run a company that serves women’s causes and communities specifically. Los Angeles native Monica went from being homeless to being the creator of her own brand, Lit Soul Candles. 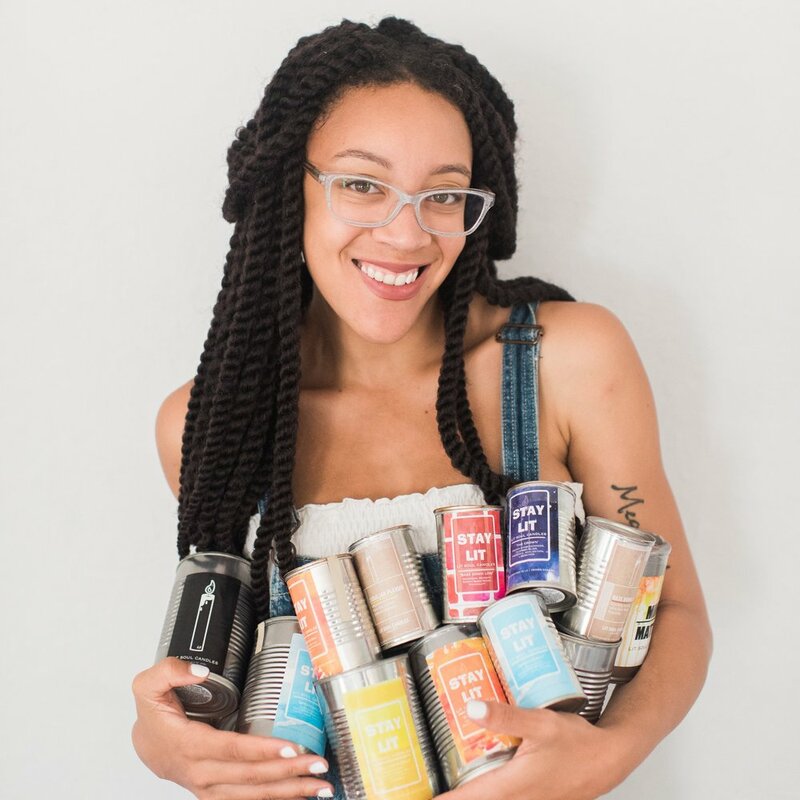 Because of her dedication to conscious consumerism, Lit Soul Candles are made in “upcycled” soup cans. The contents from these cans are used to make homemade meals for individuals experiencing homelessness in LA, a growing population of 44,000+. Learn more about Monica’s incredible journey and how she’s making a positive impact in our communities with her work when she takes the stage on May 4! These are the Mama CEOs who are running their own companies and setting examples for leaders and companies everywhere. These mamas have companies making 6-8 figures, and they are running their families alongside all of that! The Don’t Call Me Mommy dynamic duo Haely White and Samantha Gutstadt will be this panel’s moderators! Haely is a comedy writer, actress, and director passionate about telling stories that empower women. She teamed up with actress, host, digital influencer, and content creator Samantha in 2017 to start Don’t Call Me Mommy. These Mom Com queens sold their first scripted series they pitched, Sh*t No One Told You, which now has upwards of 4 million views! Tylynn Nguyen was inspired to found her own namesake intimates brand in 2015 after an extensive modeling career. She has truly paved her own way, creating chic and timeless pieces with a modern woman’s approach that has garnered attention from Vogue, Harpers Bazzar, InStyle Magazine, Glamour, and many more. She has been running her empire ever since in the midst of mothering her three littles. Katie Richardson started her brand Puj in her garage and built it into a globally recognized 8-figure company! 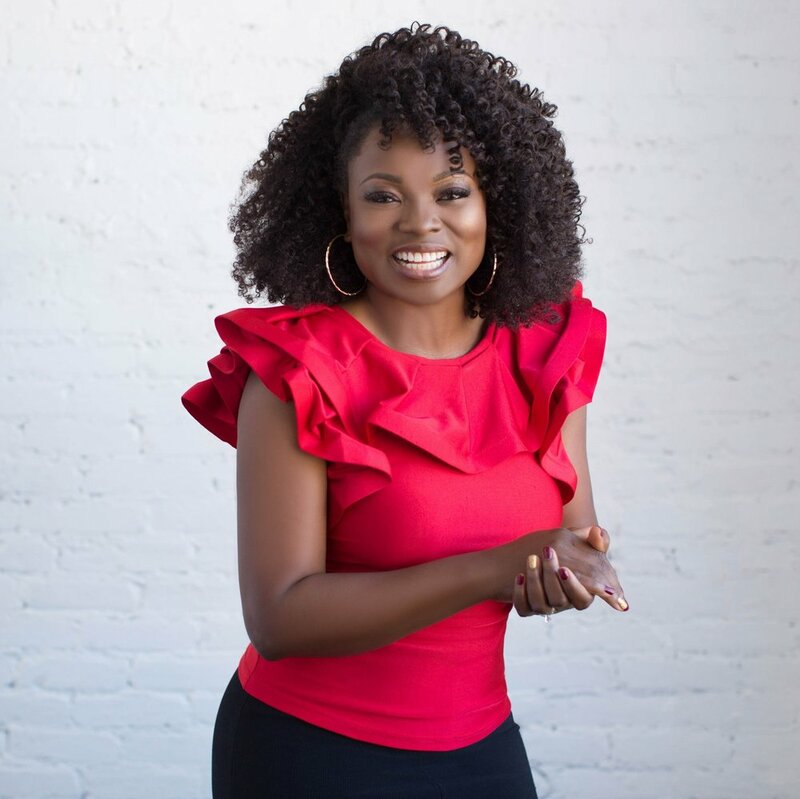 A leader of leaders, she now coaches female entrepreneurs who want to take their businesses and lives to the next level. We can’t wait to hear from this powerhouse mama! Agatha Achindu left her 6-figure job as an IT Executive to create the first nationally available brand of fresh-frozen organic baby and tots food. Started in her own home kitchen, Yummy Spoonfuls has won numerous awards, including the Clean Label Project’s “Best in Class” designation for its rigorous, industry-leading quality standards. Agatha is an expert in all phases of entrepreneurship, including start-ups, marketing, social media, distribution, packaging, supply chain, and finance. We’re so excited for her to share tips with us on how to succeed in today’s ever-changing business environment! I’m so excited to partner with such amazing brands and fellow moms to bring you connection, community, and career-savvy support at this year’s Happy Mom Conference! It’s going to be a beautiful day and I can’t wait to share even more updates with you in the coming weeks, including our second Keynote announcement! I can’t wait to see you there on May 4 at the Paseo! Mamas, who are you most excited to see at Happy Mom Conference this year?